Even though I usually ease into the season quite slowly, Christmas certainly came early for me this year. This was because in mid-December, my friends and I accepted an invitation to present Christmas songs at a residents’ Christmas event held at Leisure Farm in Gelang Patah. I was told that space was limited in the recently renovated sales gallery, where the event would be held, so our group must be kept small. As time was short, I roped in Florence as music director, to coordinate the voices and musicians, select the songs and arrange for practices. With her vast experience in music presentations, we managed to put in two practices plus one warm-up session before the event. Ours was an eclectic group of voices and guitarists, made up of a mother and son, two pairs of sisters and a brother and sister. Getting together to sing again was a nostalgic experience, particularly for my eldest sister and I who had “retired” from song presentations some 30 years ago. My sister is a grandmother now and it was therefore, very significant for us to come-out-of-retirement for this event. Even though we sing regularly in church, it was different to sing to an audience in various parts including solo and duet pieces. But in the spirit of the season, we put in our talents and experience, in a combined effort to do our best, within the given time. Talking about the audience, I noted with interest, that the residents who sat down to enjoy our presentation at the event, were a mixed group with a noticeable number of Malays. I must admit that the presentation was worth every bit of our effort especially when I saw the audience singing along to the familiar songs! The festive feeling was also ushered in early with December birthdays, particularly that of our grand-niece, Vivienne, who turned one on Dec 22. Through the use of modern technology, we joined in the celebration with our nephew and his family and friends in Perth on the weekend before her birthdate. Another birthday that my friends and I keep as an annual celebration was for Wei Leng, whose birthday on Dec 21, was also an opportunity to get together before the year ended. The double celebration always included a Christmas gift exchange and this year, Jennifer joined us for a lovely lunch party. Our Christmas celebrations kicked off as usual, with carolers visiting our home to sing carols on the eve of Christmas. The lyrics of the carols reminded us afresh about the true meaning of Christmas and while it was good to see and hear dad singing along, this time he was holding a magnifying glass over the hymnal and I had to shine a torch to help him read with his deteriorating eyesight. With each passing year, we see our parents deteriorating in health, generally slow down and cease to be able to do the things we used to do together. This makes every family gathering extra precious and meaningful as we treasure our traditions and continue to make memories with our seniors. As we planned the family celebration this year, my siblings and I agreed that we must have a senior-friendly retreat where they do nothing while we organise activities that match with their tastes and abilities. Loh men, in this my favourite photo for this season! On Christmas morning, we met with our church family for the Christmas service followed by a sumptuous buffet spread, complete with roast turkey. Even though the church premises was undergoing renovation and facilities were limited, it was good to see friends and family gathered to share warm fellowship in our annual celebration. As I snapped photos of the song and skit presentation in the Christmas service, it crossed my mind that this would be the last time we were meeting in this hall for Christmas. The long-awaited building renovation was in progress and next year, we will have a renovated building! 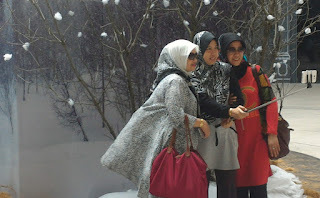 It was Christmas Day with a difference for us because that afternoon, we set out for Pulai Springs Resort (PSR) to check into the Cinta Ayu Suites for an overnight stay. 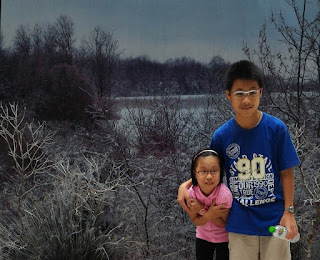 This stay-cation was a gift from our eldest sister and late brother-in-law, Matthew. I have a long relationship with PSR since its media launch while I was with the agency that executed their campaign. Some 30 years ago, when Matthew became a member for golf, we were at the club countless time for swims and many meals at the Qing Palace. I’ve been back to PSR regularly for media events and this Christmas, my sister and I agreed that it was an opportunity to revisit PSR for a stay-cation, get pampered with spa treatments, a suite stay and sumptuous meal in a private room of the Qing Palace. We checked into our 2-room suites smoothly, delighted with the goodwill from my friends in PSR who had arranged the best suite in the building, the Cinta Suite, for me! One of the family activities that we always enjoyed with dad was playing Scrabble, in the traditional way with the board game on the table. Very often dad would win the game with high scores and this time, when we played Bananagrams, a speedy word game also played with tiles in a mix of Boggle and Scrabble, dad won in his very first round of play! There was a great deal of stressful fun as we played this highly addictive game, punctuated by yells of “Split!” “Peel!” and “Dump!” along with sips of hot tea and slices of delicious Christmas cake. Another family activity that dad taught us to enjoy was swimming. In fact, dad taught us to swim in the beautiful beach at Kampung Pasir Gudang, long before Johor Port was built at the same site. One of my fondest memories of our times together at this beach is captured in the photograph used for my Memories category, seen on the Right side of the blog page, where I’m seen standing up on dad’s shoulders! This picture is an illustration of how my dad remains my strongest supporter and encouragement throughout my career. He made sure that we were nurtured in a loving environment where there was a balance of fun and family activities with serious commitment to work and studies. Almost every year, dad planned road trips with the family and now, while he may not be as agile, he still enjoys a change of scenery so we often take him for drives and sight-seeing. After hours of fun with Bananagrams, dad had a dip in the pool, swimming albeit slower and in shorter laps, but it was certainly amazing and heartwarming to see our 93-year old slice through the water so elegantly! Our Christmas Day dinner was with extended family members at two tables set within a private room in Qing Palace. At first, my sister and I thought that we had ordered too much food but surprisingly, we managed to do justice to the portions and there was no leftovers. Everyone agreed that the food quality and service is reminiscent of those days when we dined regularly at Qing Palace. Christmas celebrations continued the next day over a lovingly home-cooked lunch with Uncle Charles and his family. It was a glimpse of the warm fellowship we shared years ago when their children were babies and now they have grandchildren joining us too! Our missionary friends, the Cheong’s, dropped by for an annual Christmas catch-up and it was always encouraging to see them again and to share a meal together. While everyone was busy with their work and lives throughout the year, it was a tradition to meet at least once a year for a face-to-face fellowship instead of just through our electronic devices. Wet end to our day at Legoland! I saw Legoland Malaysia Resort develop from a brown field at the ground-breaking ceremony, into an international attraction and felt that the time was ripe to share my experience with the family. So I arranged for a day trip particularly for mum and dad to see what was happening within those walls. Dad, who used to work in Gelang Patah, probably roamed the very site where the park was built, not for work but for hunting! Exchanging presents is a lovely tradition during the Christmas season but one of the most meaningful gifts for me must be the privilege to spend quality time together as a family. On the eve of the new year, we continue to make more family memories from now into 2016 and beyond. Fine-tune services at UTC JB, please? The Government must be commended for setting up the Urban Transformation Centre or UTC, as a one-stop public services centre at Galleria Kotaraya along Jalan Trus. In July 2014, the UTC opened at three levels of this mall in ten clusters to provide core services for Welfare & Social Services, Education Services, Training & Employment, Business & Entrepreneurship Development, Health Services, Financial Services, Government Services, NGO Development Youth Services, Utility Services and Security Services. These services involve 31 state and federal Government agencies, including the Immigration, National Registration, Road Transport and 1Malaysia health clinic. The easy accessibility to centrally located Galleria Kotaraya is a boon to the public who are unfamiliar with sub-urban locales where these departments have been relocated. With this one-stop facility, the hassle of going from one agency to another at different locations, is now a thing of the past. The UTC is a welcome change, not just for people who depend on public transport but for everyone to save time, expense and energy, in obtaining their documents conveniently and efficiently in one place. Recently when I discovered that my mother’s passport did not have a minimum of six month’s validity for travel, I took her to have it renewed on a Sunday morning at the Immigration agency in the UTC. The dreaded sign I saw at the Special Services counter! I stopped a passing staff to ask about the procedure for senior citizen’s passport renewal and when I asked her again to confirm what she said, she reiterated that Warga Mas still had to join the queue to take a number! Resigned to the situation, I headed back to the queue for numbers in disbelief because I didn’t think this was considered special treatment for senior citizens. Back in the queue, I saw a uniformed staff talking to a senior couple and when I overhead their conversation, I jumped right in, declaring that my mother was aged over 80 too. A family with two, maybe twin babies were being attended to at the counter and I knew that a senior couple was ahead of us so it was only courteous to follow behind them in our no-queue type of queue. A senior Chinese lady brushed pass me, saying loudly in Mandarin to a younger lady with her that there was no need to queue (pai thui) and I turned to her with a smile and said, “Yes, we should queue.” Even if she did not understand English, the lady soon figured that they were behind us in our no-queue queue. told me that one should be given to the officer at the desk! All this time, I was still holding the two pieces of similar queue numbers and it suddenly dawned on me that one piece should be with the officer so that he could call it out when it was our turn. [I receive similar queue numbers at the hospital pharmacy to collect my parents’ prescriptions regularly and know that one portion of the queue ticket should be with them while the other was given to me to wait for the number to be called.] So I boldly stepped up to the desk and placed one of my queue numbers on the desk and the officer calmly put it in sequence next to the numbers on his desk! I was relieved that we were finally going to be served soon. When I spotted the lady behind us still holding her two tickets, I told her to put one on the desk so that the officer would attend to her next. She was clearly quite oblivious as to why she was given two similar numbers and thanked me profusely for the tip. The Warga Mas no-queue queue was quickly building up and I was concerned that the officer at the number issuing counter, had failed to inform the Warga Mas that one of the two tickets given should be handed over to the desk while they waited to be called. The inexperienced or those not accompanied by younger family members, could be waiting in their no-queue queue – holding two similar tickets – and may not even be called to the desk to process their documents! Failure to give this small but important instruction, simply defeated the purpose of having a so-called no-queue, fast-lane for senior citizens. To facilitate the special Warga Mas fast-lane, I suggest to assign more “Goodwill Ambassadors” to guide the senior citizens so that they may have a better and smoother experience at UTC. Alternatively, explicit instructions may be posted prominently so that seniors and those accompanying them, may read and follow the step-by-step way to obtain their documents. I propose that chairs close to the Warga Mas fast-lane should be reserved for senior citizens and posters put up to remind people to offer their seats to seniors, mothers with young children or expectant mothers. While free wifi is an added convenience to stay connected while waiting, it may be abused by users who selfishly occupy the seats with their eyes glued to their gadgets – and ignored the people who may need the seats more than them. With the year-end holidays just around the corner, the Immigration agency can expect more applicants to renew or issue passports. My recent experience was certainly an eye-opener and while the UTC is providing a welcome service to the public, there is certainly much room for improvement. Indian and Thai food are familiar but when I read from the menu that The Spice Kitchen also serves Indian Chinese cuisine, I’m rather puzzled. My friend, Muru Kumar, warns me not to jump to the wrong conclusion that Indian Chinese is a fusion of Indian and Chinese food because it’s a cuisine that exists in India. The team of chefs in The Spice Kitchen, hand-picked from Kolkata (Calcutta), are serving an Indian Chinese menu of dishes believed to have originated from mainly Hakka Chinese who settled in Kolkata over a century ago. They are also skilled in preparing traditional Indian and Thai cuisines. For the uninitiated the menu may look intimidating, so while Muru helped to place the order for our group, I study its large pages. It has sections clearly marked for Chinese or Indian Seafood, Meats and Vegetables, Tandoor as well as Rice, Bread and Desserts and I spot items marked, “All-time-favourite” and flower icons for Chef’s recommendations. I learnt that depending on taste, we can even ask for the degree of spiciness when the order is placed – non spicy, mild, spicy or very spicy. I put down the menu to look around the restaurant, I notice that the majority of diners are non-Indian. As Muru tells us about the mix of Indian Chinese and Indian appetizers, mains and dessert he ordered, I’m privately reminding myself to pace myself so that I have enough space to savour all this! When the Chinese in India could not find the ingredients to cook their food, they modified their recipes with Indian spices and created a cuisine now known as Indian Chinese. Kolkata even has their own little Chinatown and The Spice Kitchen may be the only restaurant here that serves the unique flavours of Indian Chinese cuisine that emerged from a Chinese community there. We start with everyone’s favourite, Gobi Manchurian (RM14.99), cauliflower florets coated in a delicious blend of garlic, ginger, chopped onions, green chillies, and garnished with coriander leaves. As I sink my teeth into this popular appetizer, I can understand why diners keep coming back for more. This is the vegetarian version of Chicken Manchurian (RM15.99), a dish that did not originate from Manchuria but was in fact, created by Chinese restaurants in India! Chef Vinod Rai served us the appetizers and until he spoke English with a heavy Indian accent, we thought he looked deceptively like Chinese. With more than 30 years culinary experience in preparing Indian, Chinese (Hakka) and Indian Chinese cuisine, Chef Vinod (whose grandmother was Chinese!) has wide working experience with restaurants in India and Singapore before coming to JB. The Chinese influence is obvious in the menu’s list of soups like Sweet Corn Soup, Manchow (Manchurian) Soup and Szechuan Hot & Sour Soup. I savour Hot & Sour (RM8.99), a comforting broth filled with sliced chicken, mushrooms and vegetables that tastes slightly tangy and peppery. Another popular Indian Chinese appetizer is Chicken Lollipop (RM15.99), well-marinated little drumettes that I picked up with my fingers and chomped on in quite an unladylike way! Chilli Eggplant is quite a zinger! Mixed Fried Rice (RM12.99), made with long-grain basmati rice, stir-fried with chicken, seafood and egg, not only looks good but tastes good too. With each spoonful of the fragrant fried rice, we can’t help thinking that the chef must have perfected his skills in turning out Chinese fried rice! From its name we know, Chili Eggplant (RM12.99) is spicy but the crispy battered chunks of eggplant cooked in chillie and soya sauce, tastes just right with rice. Meanwhile, Vegetable Korma (RM12.99), mixed vegetable in a mild creamy sauce, reminds us of a lontong taste. A portion of Hydrabadi Mutton Briyani (RM24.99) comes with a side of lamb gravy and plain raita and it’s amazing how much rice was packed into this deep serving bowl. Even after passing it around to share, there was still more rice left inside the bowl! There is no better way to eat Indian bread than with my fingers, so I rolled up my sleeves to dig into the Garlic Naan (RM5.99). Soaked in gravies like Pagla Lamb Bhuna (RM23.99), a popular lamb dish in Kolkata, Palak Paneer (RM15.99), cubes of cottage cheese in rich spinach gravy, and Chicken Butter Masala (RM17.99), Chicken Tikka morsels cooked in rich tomato gravy, I savour the variety of flavours with the fluffy naan. One of the pleasures of eating with fingers must be the lingering fragrance of spices on my fingertips even after washing. Still floating on a spice high, I settle down to enjoy the refreshing taste of Mango Kulfi (RM9.99), Indian ice-cream made with fresh cow’s milk, fresh mango and a hint of saffron. It’s a pleasure to learn that The Spice Kitchen is one of the specialty restaurants in the Dining Cultures Group which also operates The Marco Polo Kitchen, Bob’s Kitchen and the recently opened, Indian Kitchen in Medini Hub, Nusajaya. As I sit back to enjoy the company, I’m delighted with my experience with Indian Chinese cuisine and from the wide menu choices, I know there’s more quality food and authentic cuisines to enjoy in my next visit to The Spice Kitchen! Drive along the Iskandar Coastal Highway and filter left at Taman Perling to exit to the route towards Taman Bukit Indah. At the traffic lights before Tesco Hypermarket, turn left and turn right at the first set of traffic lights. Turn right again at the first set of traffic lights into Jalan Indah 15. The Spice Kitchen in the corner ground floor unit of Wisma S P Setia, is to your left. Gobi Manchurian, Chili Eggplant, Chicken Tikka, Pagla Lamb Bhuna, Hydrabadi Lamb Briyani, Mixed Fried Rice and many more including Kulfi, Indian ice-cream! Have fun with photos at the Holiday Forest in the Mall at Medini from now till January 4, 2016.
with the illusion of falling snow! This holiday season, the Mall at Medini has collaborated with Johor Green to create landscapes reminiscent of a winter wonderland for everyone to enjoy. Since the art installations were set up on Dec 19, visitors to the mall and adjacent Legoland Malaysia Resort, have been stopping to admire and capture the winter scenes in photo mementoes. The Frozen Forest created in the circular lobby of the mall, features four photo booths depicting iconic winter landscapes like a frosty morning, pine forest, snow scene and falling snow. This little girl is feeling the chill on a frosty morning! “We want people to engage with the landscape and for kids to understand the seasons,” said Johor Green founder, Chris Parry, who designed the art installations. While the backdrop scenes were borrowed from the winter landscapes of Hokkaido, Sweden, the United Kingdom and United States, Parry said that all the foliage used in the designs were collected from forests in Johor. A myriad of tiny, twinkling lights that portray fireflies in the Firefly Forest in the MAP Nusajaya foyer, features an Urban Adventure Showcase with information on local eco adventure destinations. Visitors at the Holiday Forest on Dec 25 and 26 will enjoy a programme of events that include dance shows, a magic show and Santa Claus and Santa-Rina appearances. The Holiday Forest project is supported by the Mall of Medini, MAP Nusajaya and UEM Sunrise Berhad. 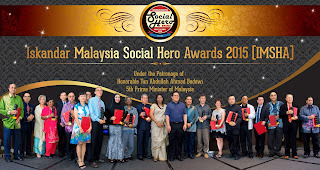 Noah’s Ark Natural Animal Sanctuary (NANAS) was the overall winner of the Tun Abdullah Ahmad Badawi award in the second Iskandar Malaysia Social Hero Awards (IMSHA) 2015 Gala Banquet recently. NANAS, which also won the Animal & Wildlife organization category, was represented by NANAS founder and president, Raymund Wee. The premier community service award event in the Iskandar Malaysia region was graced by guest-of-honour, deputy home minister and MP for Pulai, Datuk Nur Jazlan Mohamed, who represented IMSHA patron and the fifth Prime Minister of Malaysia, Tun Abdullah Ahmad Badawi. “It’s encouraging to see that Iskandar Malaysia recognises the need to build the Johor Baru community into the pride of Malaysia,” said Nur Jazlan who expressed his full support to what IMSHA was doing to develop a more inclusive, compassionate and effective society. “This year, we received close to 200 nominations compared to 170 nominations last year,” said IMSHA committee chairman, Mrs Thanam Visvanathan Suresh, who congratulated the individuals and organisations who were awarded for their selfless contribution to the community. Among the nominated organisations that won in their respective categories were the Soroptimists International JB in Education Advancement for their work in providing basic education to Rohingya refugee children, the Malaysian Red Crescent Community Services for their contribution in Disaster Relief and the Befrienders in Health Services. Reconstructive and plastic surgeon, Dr Angamuthu Rajoo, was honoured for his Smiles Project with children who can smile again after his reconstruction surgery on their cleft lips, while active environmentalist and nature-lover, Vincent Chow, was recognised for his commitment towards Environmental Preservation and Protection. The Social Innovator award went to Kilang Bateri, a hip and happening destination created within a former battery manufacturing plant at Jalan Tampoi, while UEM Sunrise Berhad was recognised for their Corporate Social Responsibility contributions. Organized by the Iskandar Malaysia Sustainable Committee Network (IMSC), an informal network of local people in pursuit of enhancing social capital value in Iskandar Malaysia, IMSHA aims to identify, recognise and celebrate individuals, organisations and social movements which have made a significant contribution to society through impactful and meaningful community service. Also present at the event were Iskandar Regional Development Authority Chief Executive, Prof Datuk Ismail Ibrahim and members of the Leadership Council who reviewed the results of the Social Impact Rating system by Frost & Sullivan, for the final verdict. Pulai Springs Resort recently hosted children and teenagers from the Johor Calvary Welfare Home for Christmas high tea. At least 30 youngsters aged between 3 and 16, were treated to a sumptuous Christmas buffet spread complete with festive desserts like log cake and gingerbread men cookies. “It is our wish that the joy of Christmas be felt all year round,” said Pulai Springs Resort general manager, Sunny Soo. Soo said they aim to give back to the community through their Corporate Social Responsibility (CSR) Programme and this Christmas charity event was just one of the ways to share the joy during the festive season. “We take CSR very seriously, be it Hari Raya, Deepavali, Chinese New Year or Christmas, and we often go the extra mile to share goodwill with the less fortunate,” he added. The resort also has the support of co-sponsors like the Pelangi Publishing Group who provided a range of quality story books in English and Malay that were distributed to the youngsters along with Christmas candy canes and stationery items. When a long-term resident in the resort’s Cinta Ayu Apartment suites learnt about this festive charity event, he generously donated to each guest Aeon Big gift cards valued at RM50 each. Santa Claus and his Santarina made an appearance and distributed sweets to the young guests while Soo presented each of them with cash gifts from the resort. “We depend on public funds to manage our bills for utilities and provisions as the residents in our care do not pay any fees,” said the Home’s assistant manager, Justin Lai, who welcomed donations in the form of foodstuffs like rice, cooking oil, milk and even vitamin supplements. Established in 1989 as Pusat Kebajikan Kalvari Johor, the Home shelters some 600 residents who come from disadvantaged backgrounds including those who were abused, abandoned and orphaned. I woke up on December 8 to the sad news that a retired teacher, Ms Amy Wong, had passed away peacefully early that morning. Ms Wong, 86, was frail when we last met on August 22 at the Johor Baru Convent’s 90th anniversary celebration but with her remarkable memory, she easily recalled my name! That was probably because I shared a story about her published as, The World of Amy Wong, in 2009. I know she appreciated it very much because when I visited her at home, I saw my full-colour centerspread, proudly displayed on her wall. Ms Wong and I got on famously, probably because she was never my form teacher and she did not know the mischief I got up to in school – which was made me popular with my teachers – for the wrong reasons! When I was in Primary school, I used to look out for Ms Wong just to have a glimpse of her outfits. At that time, Ms Wong was quite the fashionista because every day she would dress in colour-coordinated outfits with matching stiletto shoes, handbag and accessories. 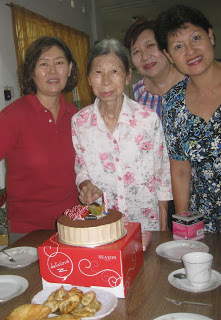 My aunts, who were also JB Convent alumni, told me that since the 1950’s, Ms Wong had been distinguished by her slender frame and an appealing 22-inch waistline which she showed off by wearing dresses tailored with narrow waists and wide can-can skirts! So when I heard the familiar “tick-tock” of her pointed stiletto shoes on the concrete corridors, I knew she was near! Recently, a group of our classmates and I paid Ms Wong a visit during Chinese New Year and we talked about those days when we used to marvel at her eye-catching coordinated outfits. After having tea with her – served the English way with a proper teapot, milk jug and sugar bowl – I remember how Ms Wong was such a good sport to put on one of her favourite dresses just to prove that she could still fit into it! At that time, she was still actively involved with the JB chapter of the Lion’s Club and used to drive herself to meetings. Not long after that, she would still attend meetings, driven by members as she was no longer able to drive. Our group often visited Ms Wong for afternoon tea and also celebrated her birthdays with her. I remember last year, our plan to meet her for tea fell through even though Elizabeth Chan called to remind her of our date. Another of our classmates, who is skilled in baking chicken pie, brought her homemade pie to share with Ms Wong and that day, at the appointed time, we stood outside her gates, calling but nobody responded from inside. We were not too worried about any mishap because Ms Wong lived with her sister, Betty, and we guessed that they must have gone out together. So after waiting and calling for a while, we took our chicken pie and went to a classmate’s home to enjoy it. Later, Elizabeth followed up with Ms Wong by phone and she apologized profusely because Ms Wong did go out with her nephew on short notice and she failed to inform us. We had a good laugh about it and told her that she just missed having a taste of that delicious homemade pie! Besides being the epitome of fashion and English elegance, Ms Wong earned the enviable moniker as a “pillar of the JB Convent” because she not only completed her education here, she was also a teacher in the Primary and Secondary sections of her alma mater at various times of her career, until she retired in 1984. Back in 1951, Ms Wong was among the pioneer group of 148 Malaysians who set sail for the UK to be trained at Kirkby College there. Incidentally, my story about her voyage by steamship and memories of her travel experience and in the UK, was read by one Zainal Yusof, whose parents were also in the pioneer group of trainees. When he wrote to me in 2012, asking to meet with Ms Wong to talk about those Kirkby days, I set up the appointment and escorted Ms Wong, who was then 83, to the meeting with Zainal and his wife. This was because Zainal was on a quest to complete a biography started by his late mother. 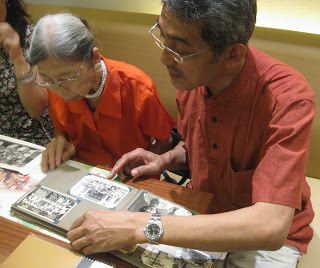 Over tea, it was wonderful to observe how Ms Wong recalled interesting details of her experiences on board the ship and in the college, and provided information which helped Zainal substantiate what his parents recorded in their writings. That same year, at the 4th Johor State English Language Conference, one of the event highlights was the JB English Language Teaching awards to five exemplary teachers in recognition for their contribution to English language teaching. I was proud that Ms Wong was one of the award recipients. Last year, the JB Convent class of 1981 held a reunion in a local hotel and invited a host of retired teachers with Ms Wong among them, to the event. It was very thoughtful of the class to invite Ms Wong to represent the teachers to cut a commemorative cake which was decorated with coloured icing in the design of the school badge. At the wake Ms Wong's sister, Betty, told me that Ms Wong had a fall in early November and even though she did not appear to suffer any apparent damage, it took a toll on her and soon she could no longer walk. When her condition deteriorated, Betty admitted her to Hospital Sultanah Aminah where she passed away peacefully at 4.30am. Betty could not hold back her tears when she told me that Ms Wong had picked that particular photograph and had prepared it to be used at her wake. 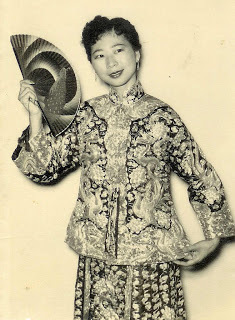 I remember this photo, taken when Ms Wong used to model outfits in fashion shows in the 1950s, because I used it with my story about her and I’ve seen a similar framed photo displayed on the wall in her house. At her funeral, Ms Wong’s brother paid tribute to her by pointing out three good things she would be remembered for. As the eldest of five siblings, she made the family proud by passing the Cambridge school exam and took up teaching as a career, first as a cadet teacher with JB’s Convent of the Holy Infant Jesus. In those days, when teaching was a highly respected career for women, her calling as a teacher was confirmed when Ms Wong was awarded with the opportunity to be trained in Kirkby College, a prestigious teacher’s training college for Malaysians in the UK. Her career which spanned 34 years was with her alma mater, the JB Convent until she retired in 1984. Secondly, Ms Wong would be remembered for her dedication to charity work through the Lion’s Club. He said his sister was mild-mannered, friendly and amiable, and her efforts in helping the less fortunate in our community has been recognised and awarded. 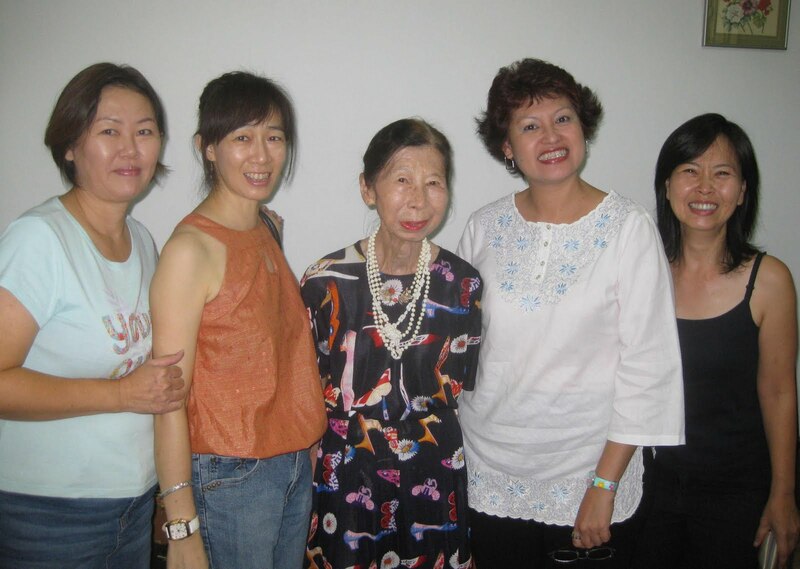 Thirdly, he said both his sisters, Amy and Betty, are good cooks and he would certainly miss the delicious Peranakan food the Amy used to make. I trust her family would take comfort in the words of the messages presented with the wreaths that succinctly spelled out the impact Ms Wong had on her students. All of us whose lives you, Ms Wong, have touched as teacher, colleague, sister and friend, miss you dearly and would fondly treasure our memories of you. Rest in peace, dear Ms Wong. Winners of IM klik 2015 "We are Iskandarians"